It's been some time since we last caught up with London based artist Fanakapan, we last featured the artist on the blog back in August when he collaborated on a mural in the Star Yard back with Canadian street artist Birdo aka Jerry Rugg and the Horror Crew (Previously on Hookedblog). As we have been in and out of the country we have missed some of his more recent mural works including a collaboration in Camden with Inkfetish which has since been replaced by another mural also painted by Fanakapan this time collaborating with American street artist Elle. Fanakapan has certainly been keeping himself busy the last few months he has also repainted the wall in the Star Yard more recently with a deflated Helium Star ballon mural which we shared on the Hookedblog Instagram account earlier this week and pictured below. 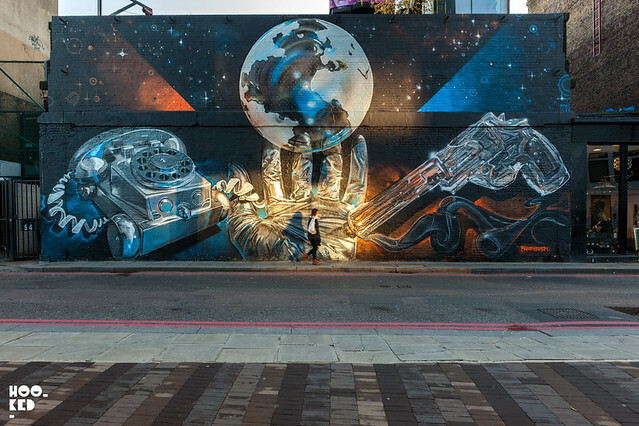 Hookedblog managed to catch up with Fanakapan earlier this week as he has been working a new mural in East London which has has titled 'Distraction, Destruction and Power Tools'. 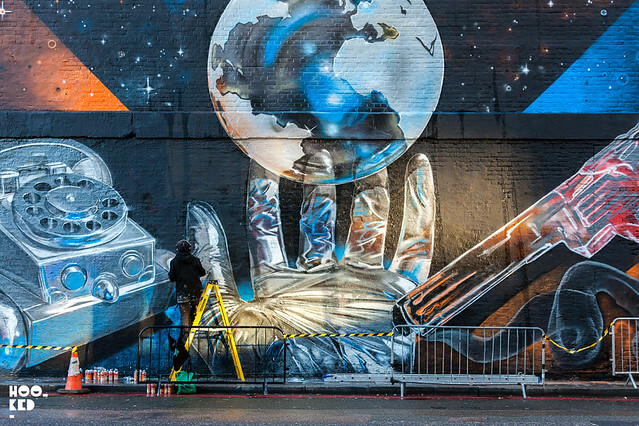 Yesterday saw him complete work on the large scale Village Underground wall in Shoreditch, London with what is possibly Fanakapan's largest London mural to date. 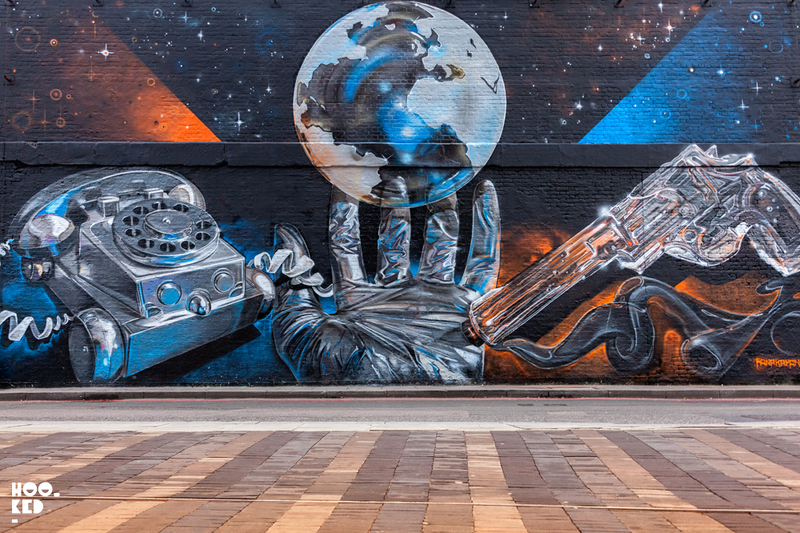 You can catch his latest creation in person on Holywell Lane in Shoreditch. The completed mural titled 'Distraction, Destruction and Power Tools' by Fanakapan is located on Holywell Lane, London.